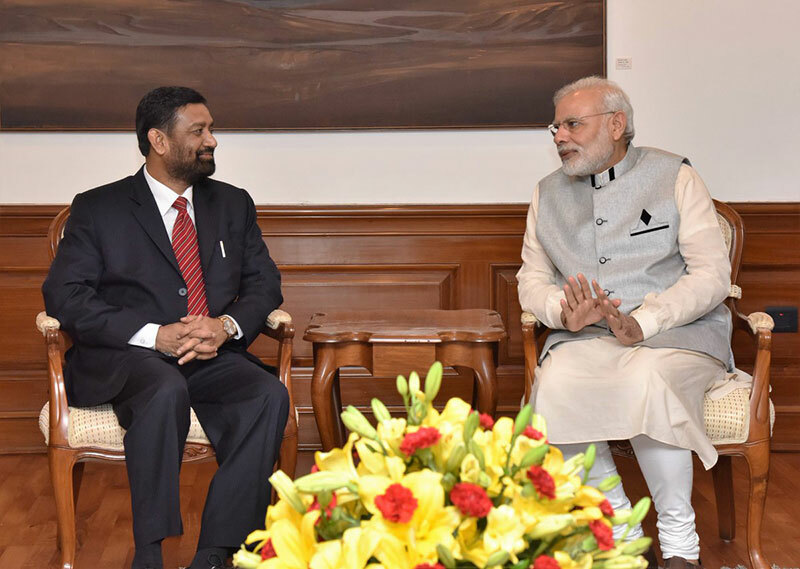 KATHMANDU, Aug 20: Deputy Prime Minister and Minister for Home Affairs, Bimalendra Nidhi, who is on an India visit currently, met with Indian Prime Minister on Saturday. During the meeting, the Deputy Prime Minister shared that the implementation of the constitution accommodating aspirations of all people would be the top priority of the new government, Embassy of Nepal, New Delhi said in a press statement. Stating that the government is also focused on the pursuit of socio-economic development, the Deputy Prime Minister stressed on the need of continuation and further scaling up of India's cooperation in Nepal's development. He also underscored the need of expediting implementation of the ongoing joint undertakings particularly Hulaki road, cross border railway and Pancheshwar Multipurpose Project as well as identifying new areas of cooperation. According to the statement, the Indian Prime Minister said that his government would fully support the priorities of the new government in Nepal and expressed hope that the new government would be able to steer the country towards greater peace and stability and institutionalization of democracy. 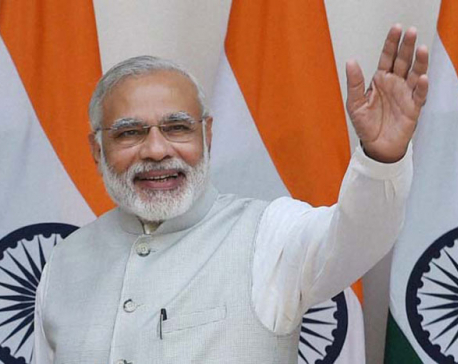 “The Prime Minister of India also stated that the Indian government looks forward to the forthcoming visit of the Prime Minister to India as well as an early realization of the exchange of visits at the Presidents' level,” reads the statement. Nidhi, who reached Delhi on Thursday as a special envoy of Prime Minister Pushpa Kamal Dahal, met with Indian Home Minister Rajnath Singh and Minister for External Affairs Sushma Swaraj on Friday. Nidhi also met Indian President Pranab Mukherjee and handed over President Bidya Devi Bhandari's letter to her counterpart inviting him to visit Nepal. 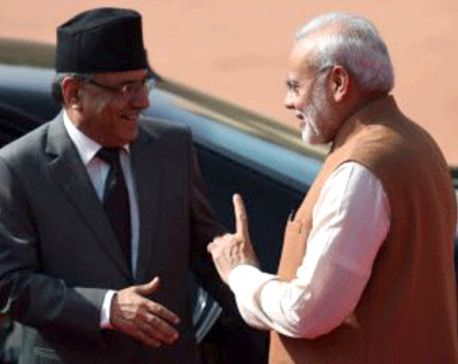 KATHMANDU, April 25: Prime Minister Pushpa Kamal Dahal and his Indian counterpart Narendra Modi had telephone conversation on Tuesday afternoon.